Last week I was kindly invited along to my local Giggling Squid restaurant to try out their vegetarian & vegan menu and to hear about their special Mother's Day Golden Ticket promotion (more on that later!). Having never been to the restaurant before I was really excited to find out what was on offer. 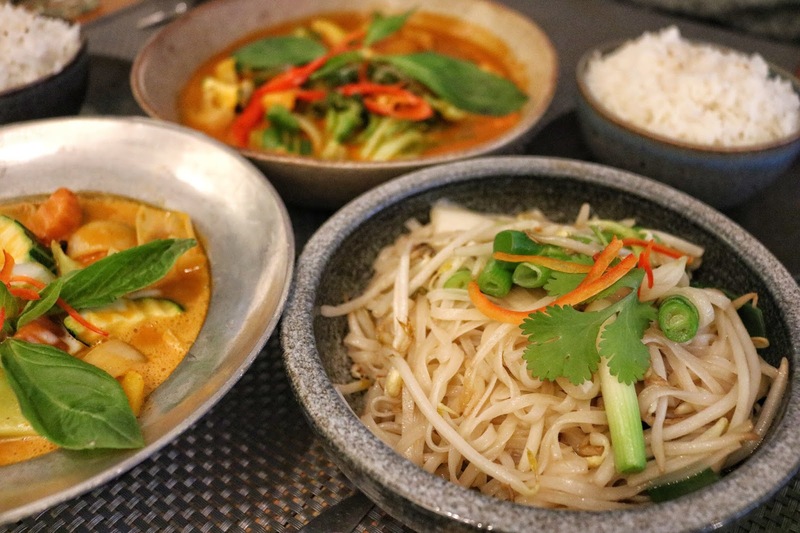 If you didn't already know, Giggling Squid is a Thai restaurant with over thirty locations here in the UK. 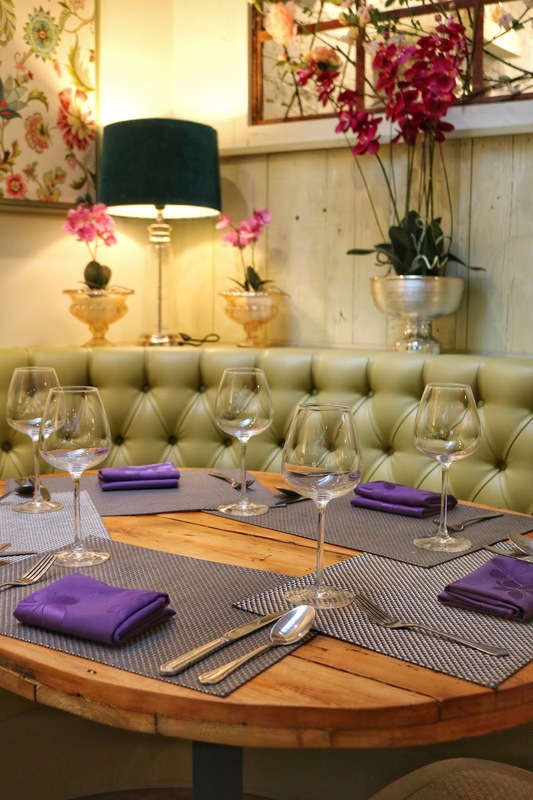 The ethos behind the restaurant was to create simple, rustic and fresh Thai food which can be enjoyed with others. 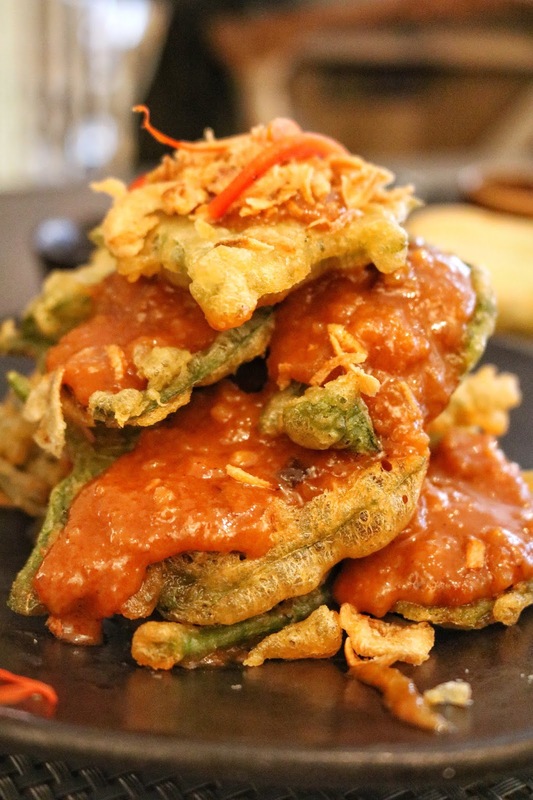 In Thailand meal times are all about lots of dishes that everyone shares so Giggling Squid have created an impressive Tapas menu alongside their lunch and evening menus. They also have a separate vegetarian & vegan menu which makes things super easy for people like me! I have to say from that start that I was so impressed by the amount of choice on their veggie & vegan menu and it felt as though there was really quite a lot to choose from. Having never seen the menu before this was such a pleasant surprise! 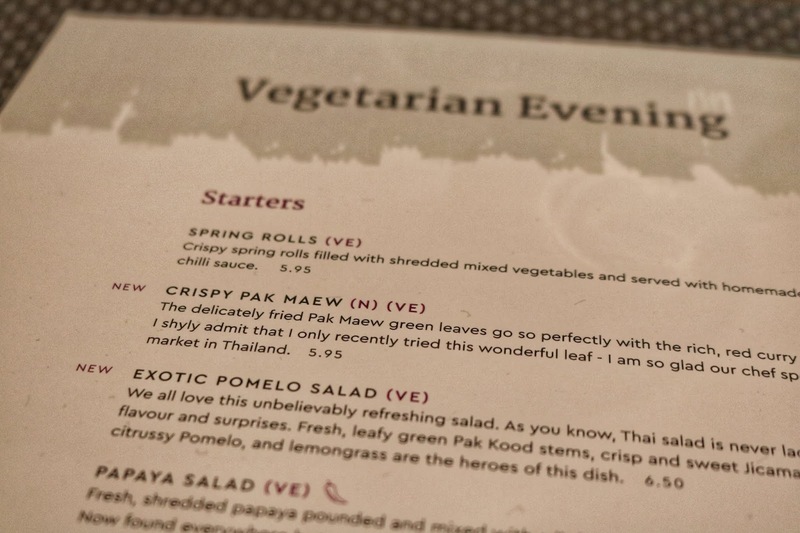 For our starter dishes we chose the Crispy Pan Maew and the Spring Rolls. The Crispy Pan Maew was absolutely stunning and really blew me away. 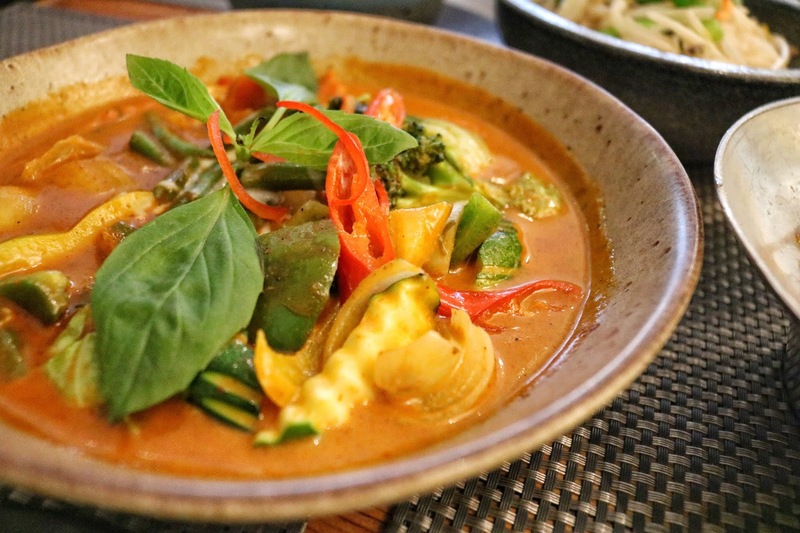 Consisting of delicately fried Pak Maew green leaves topped with a rich red curry peanut sauce, the flavour combination was just incredible! It's a dish I haven't been able to stop thinking about ever since and i'm eager to enjoy again. 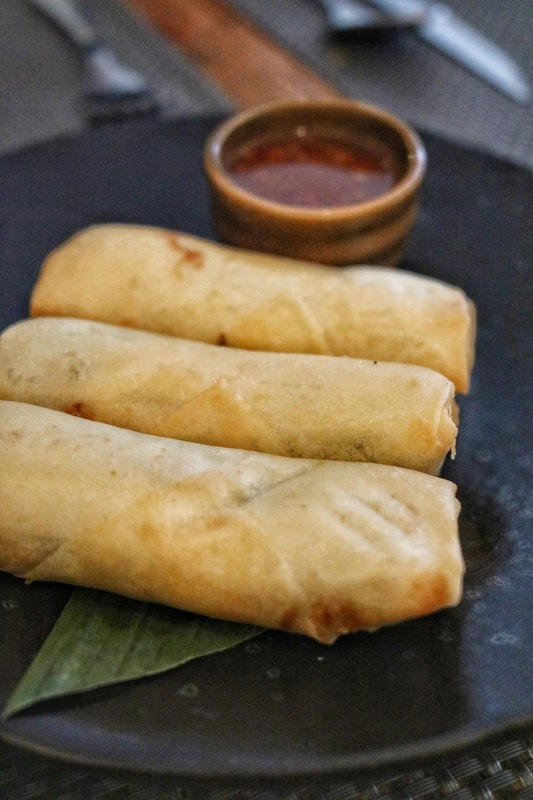 The Spring Rolls were everything I had hoped they would be and they were served with a tasty sweet chilli dipping sauce. When it came to the main dishes we found it a difficult choice with five different curries to choose from (all vegan) and four different stir fry dishes (again, all vegan), there really was a lot to choose from! 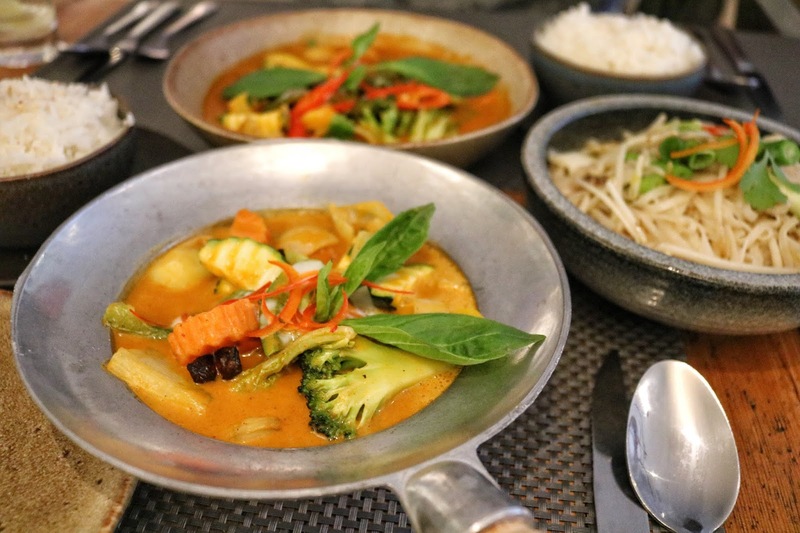 On this night my husband and I were both in the mood for curry so we went with our usual Thai favourites - a vegetable Paneang and Massaman curry. For our sides we chose coconut rice with some stir fry noodles with beansprouts. The curries were really enjoyable and packed full of flavour and a variety of different vegetables. The portion sizes were also really good and actually much bigger than we have experienced at other Thai restaurants. At just under £10 for a curry we felt that this was really good value. 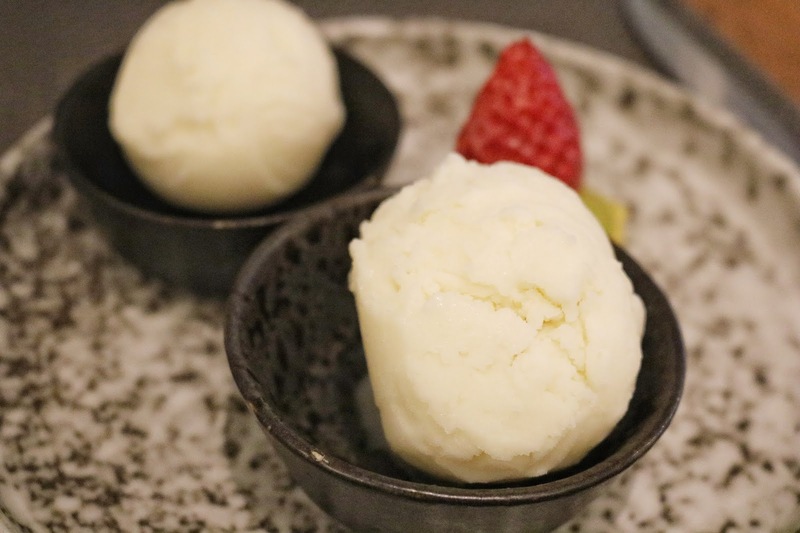 After all of that we didn't really have much room left for dessert but I couldn't resist trying their pineapple and coconut sorbet which is infused with the Thai spirit Mekhong. It tasted exactly like my favourite cocktail the Pina Colada! And it was the perfect ending to an excellent meal. All in all we were really impressed by our first time visit to Giggling Squid and I felt surprised that we had never actually tried it out until now. 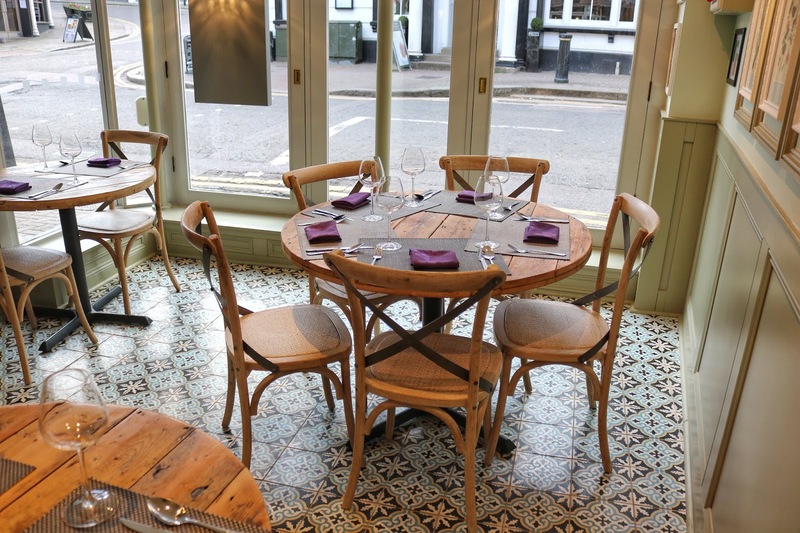 The food was high quality and delicious, the restaurant itself is beautiful inside and the staff were all very attentive and provided us with an excellent service. I was also really blown away by the amount of choice for vegetarians and vegans and it's clear to see that a lot of thought and attention has been put into making those dishes exciting. It's definitely somewhere I would go back to again and will be recommending to others! I also think it's an excellent choice for dining with larger parties who may have different dietary tastes and requirements. It's the kind of place that will keep everyone happy which I love! 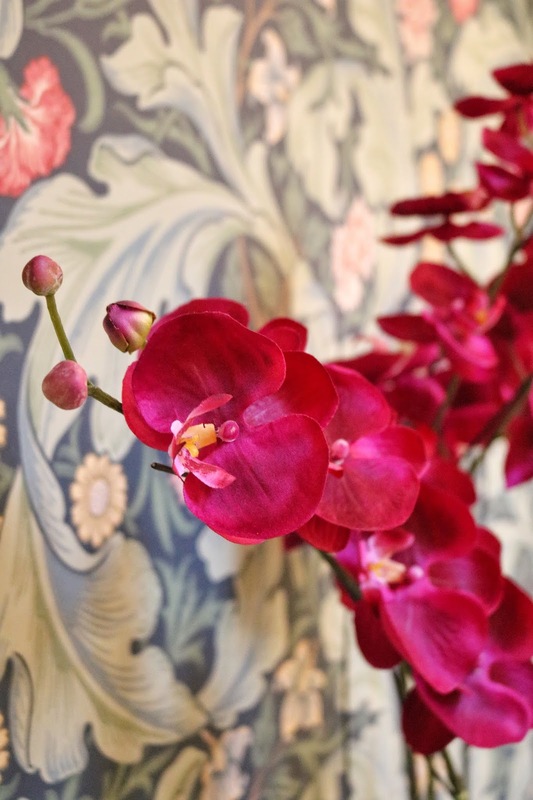 This Mother’s Day (Sunday 31st March), why not treat your mum to a delicious meal out! One mum at every Giggling Squid across the country will be the lucky winner of a golden ticket disguised as a Mother's Day card. Enclosed will be a £50 voucher to use on her next visit! Have you been to a Giggling Squid before? * Complimentary meal. All views and opinions expressed are my own.